Uniquely You: Fabulous New Find! 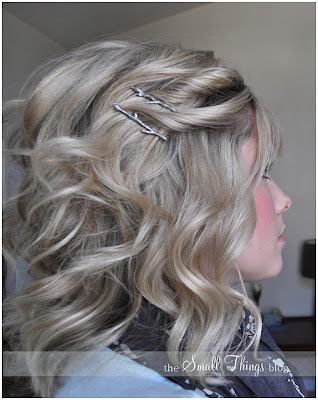 I am a nut when it comes to trying to find great hair tutorials. I have medium length hair now, longer that what is in my photo attached to this blog. I am always on the lookout for cute ways to change it up and the other day I found it, just had to share as this girl is wonderful and her tutorials are so easy to follow. I just tried the double side twist in my hair today as the adorable twig hairpins that she recommended just arrived from Woodland Belle, so wonderfully packaged I might add! 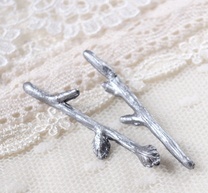 These come in 3 different finishes and styles, I bought the pewter with the buds on them, like the lower one pictured.